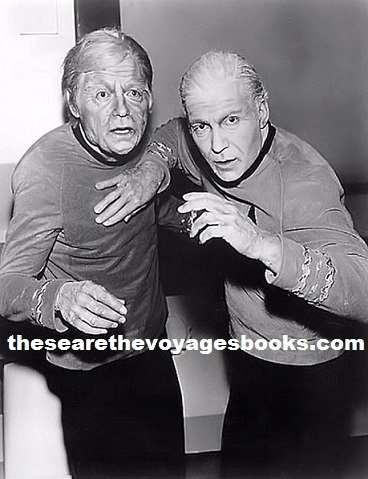 This week they were filming the Star Trek episode “The Deadly Years,” and trying to imagine what William Shatner and Deforest Kelley, and others in the cast, would look like in the eighties. This was a very challenging episode to produce -- presenting challenges never before faced in a TV production on a six-day filming schedule. Incidentally, I feel that we are going to have to set up a definite number of makeup changes for each one of our characters in this show. And we cannot have too many of them, because we will never have enough time to shoot the show if we are continually fooling around with the aging process. 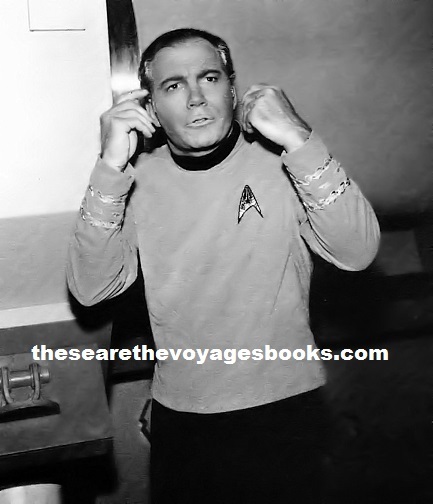 Therefore, with respect to Captain Kirk, I suggest about four different changes. The first change would be Kirk in normal 34-year-old state. His second change would be the same makeup, but he would move more slowly and indicate a certain lack of quick reflex action. His gait would be slower and he might limp just a trifle. He would be slightly stooped or hunched over as he moved. There would be definite indication of weariness and other physical attributes which Bill Shatner could so well provide. His third change would be a definite makeup change in which he would appear to be approximately 55 to 60 years old. There would be lines and wrinkles on his face. His hair would be graying. There would be a very definite slowing down of his movements and his limp would be much more pronounced. Aches and pains would be apparent in the way he moved. Naturally, his speech would slow down appreciably at times and his voice would have a weakness which would become very apparent to the audience. Also, the pitch of his voice would have a tendency to vary. Weariness would be very evident. His fourth makeup change would be the change which shows the most difference. Here we would have a need for facial appliances. There would be heavy wrinkles and creases. There would be dark shadows under his eyes and his hair would be white at the temple only. He would be jowly and his gait would have slowed to a shuffle. He would be very erratic in his speech, in that at times he would be speaking rather quickly and then suddenly hesitate and slow down appreciably. The pitch of his voice would alter frequently and his projection would not be very strong at all. His eyes would be watery. His uniform would fit badly in the respect that it would seem over-large on him. This is very important and would help Bill enormously in his characterization. By the time he reaches this last change, his tunic should be over-large and the sleeves should be too long. Also, he would hold onto objects in order to maintain his balance at times. All in all, I think Bill could have a ball with this concept and I am certain that our regulars could also. 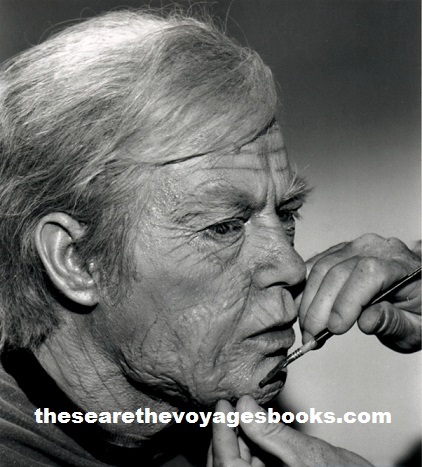 These makeup changes, and changes to the characterizations of the others inflicted, would have to be done on McCoy, Scott, Ensign Galloway, and, to a lesser degree, Mr. Spock, all at the same time, with all aging at different speeds, and then a production schedule built like a house of cards would have to interweave all these changes without taxing the makeup department too much, or slowing down the filming. It seemed to be an impossible undertaking for a six-day production. 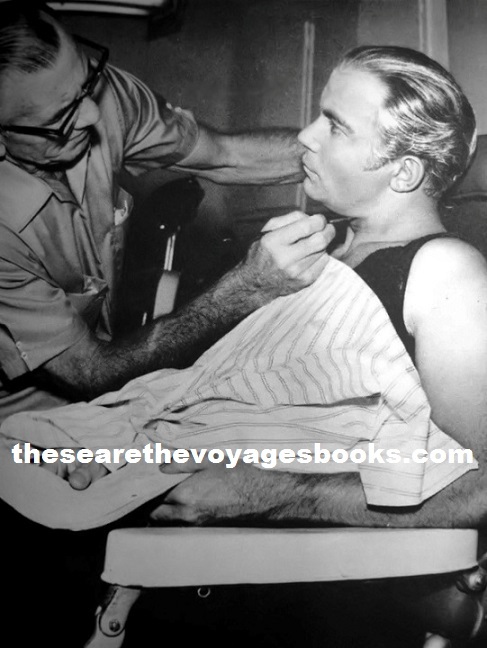 Shatner may have taken delight in the acting challenges presented in this episode, but he took no comfort in the grueling makeup schedule, as evident by the picture below. and autographed by author Marc Cushman!